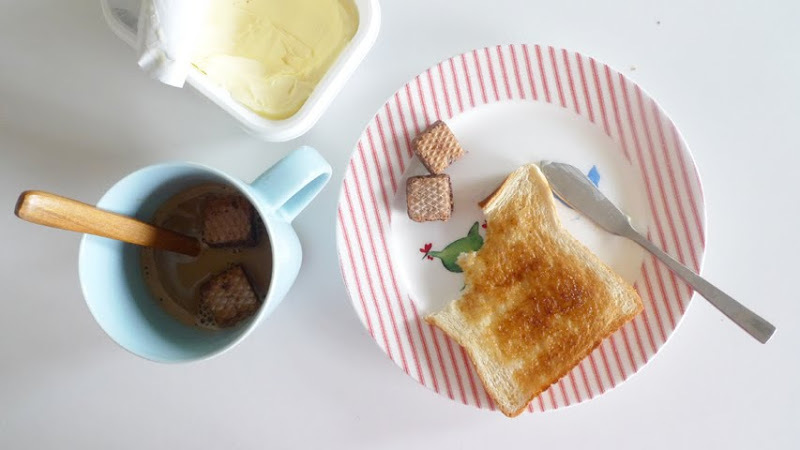 Toast, chocolate wafers dipped in coffee. i always love having one or two chocolate wafers dipped in coffee as dessert after lunch. Today, i’m having it again for tea break. Addiction.